Value-Added Services are the norm at DS-Pipe & Steel Supply. We sell service and can handle small and large jobs. DS-Pipe & Steel Supply has the ability to cut to size all of your product requirements. 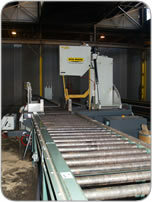 We currently have (6) Hyd-Mech saws throughout our facility. 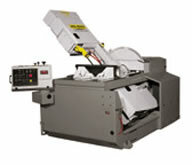 Our saw capacities can handle from 12" to 18" to 24" round. From steel pipe to structural square steel, rectangular tubing, angles, channels, and flat bars we have the capabilities to handle your needs. That's what sets us apart from the others, we offer service that are unmatched. We can even deliver directly to your job site.